» Forum » Electro-Mechanical » EM Pinball Hangout » Bally Dixieland Backglass Colour? » Bally Dixieland Backglass Colour? 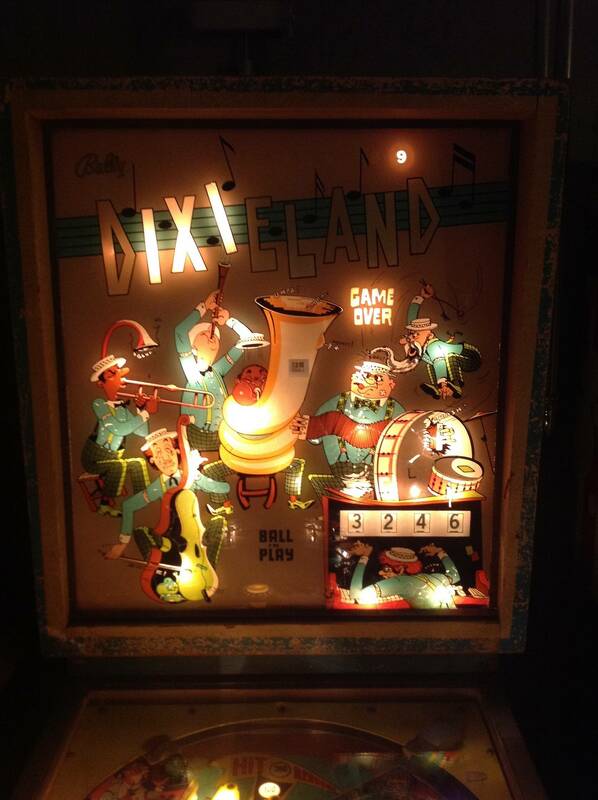 I am planning to restore my Dixieland and looking at the pictures available in IPDB or the internet all Backglasses seem to have other colours then mine - especially at the letters DIXIELAND or the Bally Logo in the left upper corner. Mine seem to be just plain white, whereas in all other pictures the seem to be red/blue. Can this happen just because of age and sunlight (fading) or are there possibly different versions available? Do not think so, but just to make sure before I start repairing it. My vote would be fade/age.